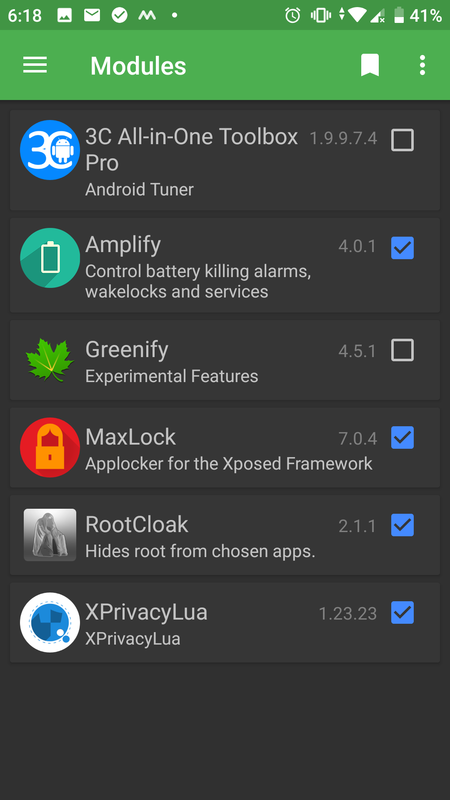 What are the alternatives for Xposed framework on Pie? Preferably without triggering Safety Net? Xposed development has been in a limbo with the last update being a beta released a year ago. Die hard fans of Xposed hesitate to upgrade Android, in the absence of Xposed support.This is true for the latest Android Pie as well. Magisk is useful but cannot replace Xposed for deep stuff. 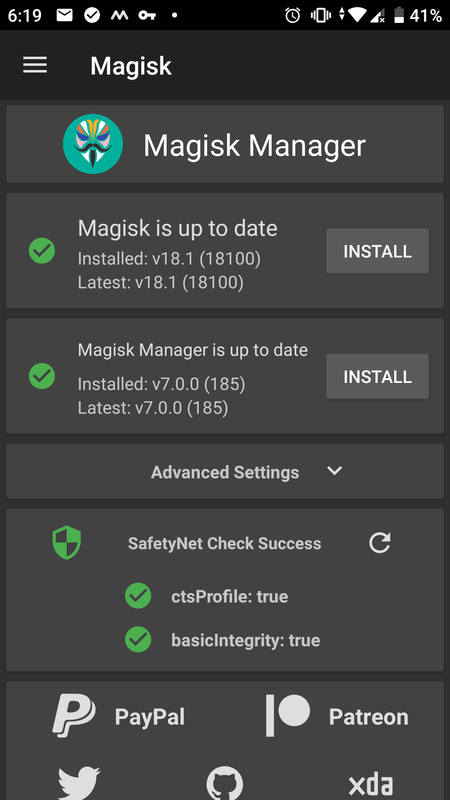 Yet another concern is Safety Net getting triggered when Xposed framework is installed through Magisk. What are the alternatives available? Preferably without triggering Safety Net? This is a self answered question to share my recent foray into this after upgrading to Pie. Moderators are welcome to make this a wiki Q and A if it attracts more updates or if deemed fit. Virtual Xposed - a rootless Xposed and therefore far less capable. I didn't investigate further for this reason but I read that development on this has stopped (unconfirmed). Tai-Chi Xposed by the same developer of Virtual Xposed and supports Android Pie. Said to be close sourced and likely to be paid module per some reports. Edxposed. This is the alternative I chose. Disclaimer: I am not a developer nor am I affiliated to any app or module. Open Source Vs Close Source Edxposed is Open source. I have no understanding of code and cannot draw any conclusion from looking at code. But yes, being open source means it is subject to scrutiny by knowledgeable folks and therefore safer (Please don't drag me into open source discussion, rather post an alternative answer :). The last Xposed update by rovo89 is also close sourced (as against earlier versions which are open source). This being close source would not have detracted people from using it purely based on developer's reputation. Is it as good as Xposed and can I use all Xposed modules? It is not (yet) as powerful as Xposed because it lacks support at this stage for resource hooks but it may get added hopefully. It is still in beta stage but a lot of modules work already. See [Updated] List of Xposed modules for Android Pie working with Ed Xposed Framework for a list of working and non-working modules which is being updated. Take this list with a pinch of salt - it may mean anything from doesn't crash and works partially to fully works. See last question below. For me XPrivacy Lua works and works far better on EdXposed than on the beta version of Xposed on Oreo. Another must module for me is Maxlock which works fine. Only one I want is GravityBox and C3C076 , developer of GravityBox is considering development for EdXposed and it is likely others follow suit. Does it pass Safety Net? Does it work on modded UI's like that of Samsung , MiUI, Poco etc? List of modules that are fully optimized? Gravity Box Beta released on 08 Mar 19. You may need multiple reboots. 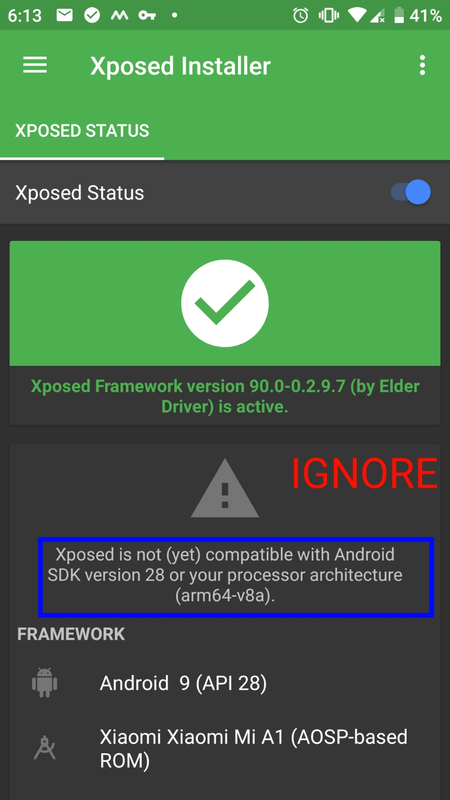 Ignore the warning on the installer Xposed not yet compatible ...with SDK 28...or your Android architecture (see pic below). You may find at times that installer is disabled - reinstall and reboot to fix. For some , soft reboot from installer fixes the problem (root permission needs to be given for installer). Your device may be noticeably slower to respond - that's a price to pay till things stabilize. Some modules may work with earlier versions of Edxposed and not with later versions or vice-versa. 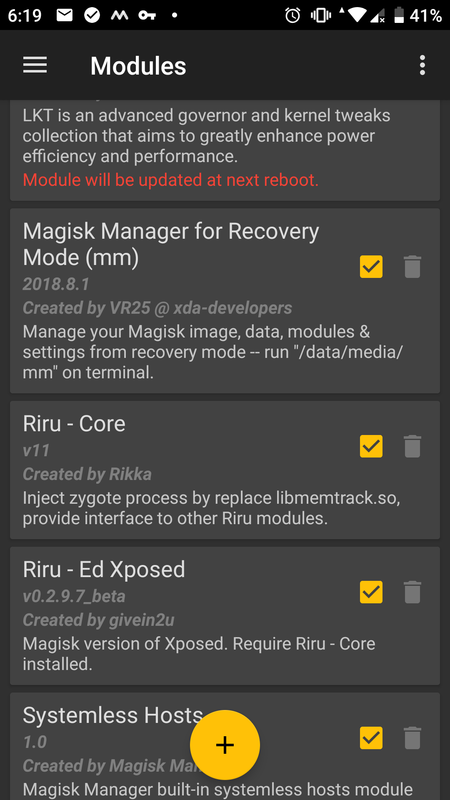 Pro-tip Just in case you land up installing a module that ends up in a boot loop or creates some other problem , it is handy to have [Tool][2018.8.1] Magisk Manager for Recovery Mode (mm) installed so that you can disable or uninstall the Xposed modules from Magisk. Not the answer you're looking for? Browse other questions tagged xposed-framework 9.0-pie safety-net edxposed or ask your own question. All of the Xposed framework zips I flashed gave me a bootloop. Why is that so? Should I just get the latest version of Xposed? Are they all stable? Where can I find the Xposed Framework and installer for Nougat? Can I install a custom recovery and the Xposed Framework from the recovery in Samsung galaxy C7 pro? Xposed Framework: what is it, how does it work and why is it so prevalent? Where can I find the Xposed Framework for Nougat and Oreo? Is it possible to install Xposed for Oreo 8.0 without breaking the Safetynet Check?